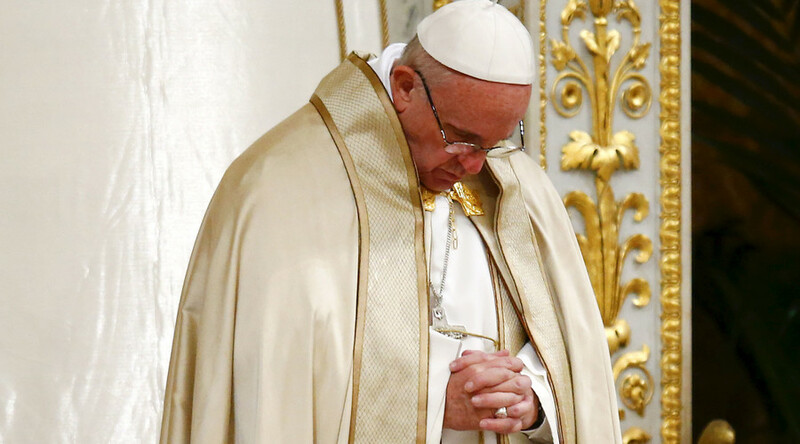 Pope Francis will be visiting Sweden in the fall for the 500th anniversary of the Reformation amid heavy criticism for religious “concessions.” The Pope had asked Protestants and other Christian Churches for forgiveness for Catholic persecutions. The Vatican announced on Monday that Pope Francis will be visiting the southern Swedish city of Lund on October 31. The city is known as the place where the Lutheran World Federation was founded in 1947. The pope will be joining the congregation for a joint service with Lutherans that will begin Reformation commemorations that will continue into 2017. Martin Luther, a German and a Protestant theologian, helped launch the Reformation in Germany in the 1517. He is credited for writing 95 theses that criticize the Catholic Church for putting a monetary price on forgiveness. This led to a major division in Western Christianity as well as the 30 Years’ War. Earlier last week, the Pope asked “forgiveness for the un-gospel like behavior by Catholics towards Christians of other Churches” during his speech at the annual vespers service in St. Paul’s Basilica in Rome. The event was also attended by members of other religions. Pope Francis also called on Catholics to forgive anyone who has persecuted them in the past. While the head of the Catholic Church has already been heavily criticized for his openness towards other religions, Pope Francis’ attempts to blur lines and embrace dialogue have reached new highs lately. He was spotted visiting the Lutheran Church of Rome, as well as Rome’s synagogue and the Waldensian protestant community in northern Italy. Moreover, the pope is planning his first-ever visit to a mosque in Rome. Earlier in January, top representatives from the Catholic and Lutheran churches released a joint press statement saying that a “common prayer” will be used in services for next year’s 500th anniversary of the Protestant reformation. According to the press statement, the common prayer will be used during the pope’s visit to Sweden. Francis has also been attacked for vaguely suggesting that it was permissable for a Lutheran woman married to a Catholic to take communion in a Catholic church. While the Roman Catholic Church and Lutherans established a theological dialogue in the late 1960s, official rules have prevented Catholics and Lutherans from accepting communion at each other’s services.